Christianity Today publishes the "Political Advocacy Tracker" on a weekly basis. According to CT, it is "a roundup of what Christian activist organizations have been talking about this week." As CT looks ahead to next year, it has identified six events from the past year "that are likely to continue to shape politics in 2011." On the list, at number six, is the Southern Poverty Law Center's feeble attempt to classify organizations such as the American Family Association and the Family Research Council as "hate" groups because we have the temerity to speak the truth about the dangers of the homosexual lifestyle. Truth has now become hate speech to the rabid ideologues on the left. Also on the list, at number four, is the ongoing battle over judicial activism, including AFA Action's stunning victory in unseating three activist judges in Iowa. At number three is Glenn Beck's expose' of the socialists at Sojourners. The Sojourners folks style themselves as evangelicals, but their entire political worldview is predicated on the violation of both the eighth and tenth commandments, since they want government to steal money from the pockets of productive citizens and stick that money in the pockets of the unproductive. The involuntary transfer of wealth is fundamentally immoral, and just because government does it at the point of a gun does not make it right. That just makes it a form of legalized theft. And their worldview is predicated on the violation of the tenth commandment, which prohibits class warfare and envy by forbidding citizens, like the misguided souls at Sojourners, from casting a covetous eye on the possessions of other citizens. So evangelicals ought to stand firmly with Glenn Beck on this one. No organization that is built on trampling the abiding moral standards of Scripture can call itself "evangelical" with a straight face. At number two is the quiet effort of evangelicals to push for changes in public policy, and at number one is the ongoing battle over the sanctity of human life. That leaves number five on CT's list of "events that are likely to continue to shape politics in 2011." CT presents this issue in the form of a question: "Who does Bryan Fischer represent?" Along the way, CT misrepresents a number of positions I have taken. Here's just a brief excerpt: "Fischer proposed that the government deport all Muslims, expel them from the military, and forbid more mosques. In addition to his view that moderate Muslims do not exist..."
While I do believe we should stop awarding citizenship to Muslims until "moderate" Muslims tell us which Muslims we've got to worry about — don't hold your breath — I've never said we should deport Muslims who already have U.S. citizenship. Those who have U.S. citizenship already of course have the legal right to remain in the country, at least until they try to blow us up. While I do believe we should stop accepting Muslims into our military, since they have a religious obligation to kill their fellow infidel soldiers, I've never said the ones who are already in the military should be expelled. I have urged local zoning commissions to deny permits to the building of any more mosques (what about the word "permit" do people not understand? ), since each one is a potential or actual recruiting or training center for jihadist activity, but have never advocated the passing of a law requiring them to do so. I have never said that "moderate" Muslims do not exist. I have said that there is no such thing as "moderate" Islam (I don't see anything moderate about "slay the idolaters wherever you find them," do you? ), and I have observed that so-called "moderate" Muslims have a disturbing tendency to go jihadi on Americans with little or no warning. Access the links above, graciously but self-condemningly provided by CT, and you can see for yourself. That's just a sampling of the poor journalistic standards CT has followed in my case, mischaracterizing my writing and attributing to me things I have never said. Surely CT can do better than that. After all, sandwiched between the eighth and tenth commandments is that little gem about not bearing false witness against your neighbor. 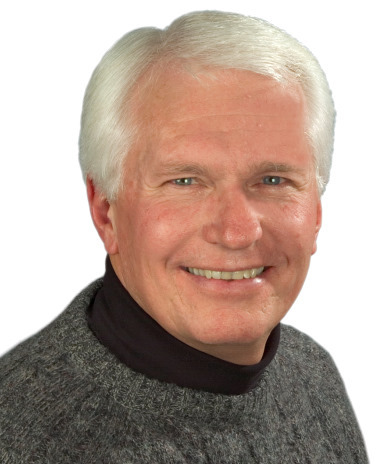 CT last week asked the question, "Who does Bryan Fischer represent?" Skipping over the fact that "whom" is the relative pronoun CT was looking for here, the answer is easy. When I speak for the American Family Association, I represent the AFA. When I blog, I represent myself. This is not rocket science. I made the decision to add the disclaimer to my blog entries for the sake of the poor editors at CT and other media outlets who cannot seem to grasp this elementary distinction. We have other bloggers on our site who have taken positions flatly contrary to mine, making it evident that I am not speaking officially for AFA. Our blog site is a place for folks to present their perspectives on contemporary issues to stimulate discussion and debate. Surely the professionals at CT are smart enough to understand this. And by the way, it is the official position of the AFA that when I blog, I am speaking for myself. So I am speaking for AFA when I say that. Are we clear?